During his "Rattle That Lock" tour in 2016, David Gilmour decided to revisit the amphitheater in Pompeii where his band Pink Floyd made a promotional film in 1971. The film lives on as a cult classic, and Gilmour decided to commemorate his return with a new motion picture from the Pompeii amphitheater. The catch with David Gilmour: Live at Pompeii is that it only played in theaters for one day. While the blu-ray will be available later in September, this was definitely a movie that was made to be seen on the big screen. As a full disclaimer, yes I am an avid David Gilmour fan. He is the reason I play guitar, and he is also the reason I love performing live. I have been a Pink Floyd fan since I was eight years old, and the music never gets old. When it comes to stage productions, Roger Waters was always the one who pushed the boundaries of live performance art, while David has always been fixated on the music. Roger's most recent tour proved that he still likes to innovate live performance art, but David Gilmour: Live at Pompeii shows that David is starting to warm up to the idea of an elaborate stage show as well. A good review of a concert movie has two parts; a review of the movie part, and a review of the actual performance. 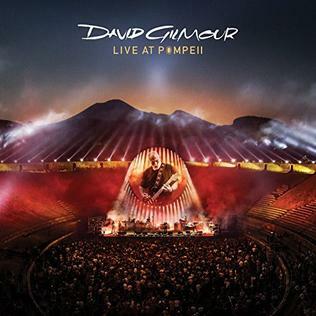 As a movie, David Gilmour: Live at Pompeii was incredibly impressive. It starts with some behind-the-scenes stuff and an interview with David. I love the guy to death, but David Gilmour has always been a boring interview. True to form, his interview in his new movie is pretty boring and does not really add very much to the overall production. The sound engineering for this film was immaculate and allowed every nuance of the music to be heard, while the editing and cinematography worked well together to create a movie that is genuinely fun to watch. Gilmour used the entire amphitheater for his performance; which means he had lighting effects and fireworks placed throughout the entire venue. The audience was confined to only the floor of the venue, but the lights dancing around the exterior of the theater causing it to change colors in time with the music was a lot of fun to watch. The drone shots from way above the theater created scenes I had never seen before in any concert movie, and they added a lot of appreciation for just how significant the concerts were. The original show consisted of 23 songs, but nine songs were removed to keep the motion picture under two hours. I'm not really sure why, but the missing songs have an impact on the quality of the overall show. There is a flow to any show by Roger Waters or David Gilmour, and leaving out songs interrupts that flow. If you are not someone who is captivated by Gilmour playing guitar, then the beginning of the show will drag for you. But for fans of Gilmour and Pink Floyd, the intimate camera angles give us looks at a Gilmour show that we have never seen before. I was entranced from the moment the performance started, and I stayed that way until it ended. David Gilmour is known throughout the world of musicians as the master of great guitar tone. In David Gilmour: Live at Pompeii, his tone and performance do not disappoint. The only part of the show that I was not thoroughly impressed with was "Great Gig in the Sky." Gilmour allowed his backing singers to arrange the piece, and I felt it went on too long. While I loved hearing a male voice perform in "Great Gig," I felt like it was being dragged out unnecessarily. Aside from that, the performance was flawless. If you did not see the worldwide premier of David Gilmour: Live at Pompeii, then you missed your chance to see it on the big screen. I am hoping for more behind-the-scenes footage in the blu-ray and I am assuming we will get to see the nine songs that were missing from the original release. But no matter how packed the blu-ray will be with footage and fun stuff, you really missed something if you did not see this movie on the big screen. 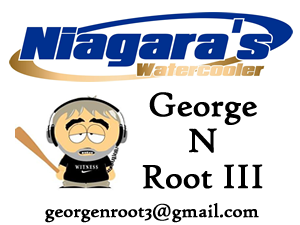 George N Root III is a movie and music fanatic. Follow him on Twitter @georgenroot3, or send him a message at georgenroot3@gmail.com.